James E. Williams is a native of Chicago, IL he grew up on the West Side of the city. It was there that he developed his love for working with and in low income communities. After graduating from Morehouse College, James joined the United State Peace Corps; working in Togo, West Africa. Soon after his return he began working at the Chicago Housing Authority, where he held several management positions. James left the Public Housing arena for five (5) years after finishing his studies at The University of Chicago. After finishing his degree, James went to work as an Investment Banker for the St. Paul Companies in St. Paul, MN, where he held the position of Asset Manager. While there, he was responsible for 3.5 million sq. ft. of properties with a market value of over $150 million dollars. James experience encompasses over ten years of decision-making responsibility within the real estate industry. 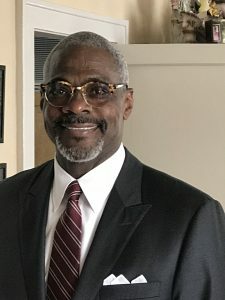 James has served as Vice President, Sr. Vice President, Director, Department Head, and/or Advisor; Affordable Housing, Resident Services, Housing Assistance, Fair Housing, Asset Management, Scattered Sites, Modernization, Risk Management, Maintenance, Compliance, Section 8 and ACC & LIHTC units of all classes (multi-family, senior, ADA, etc.) In addition to training and supervision of sizeable staffs, James continues to demonstrate his capacity to lead by currently advising troubled Public Housing Authorities through his consulting work. James holds a MBA in Marketing and Finance from the University of Chicago (1998), BA in Organizational Behavior from Morehouse College (1989), Associate (AS) in Computer Science from Southwestern Christian College (1986) and a Certificate of Advanced Graduate Studies (CAGS) in Health Care and Senior Living from Simmons College (2012).